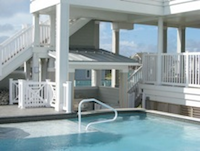 How to choose an OBX Pool Cleaning company on the Outer Banks of North Carolina. 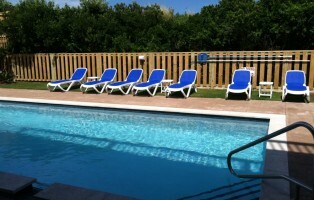 5 Helpful tips when choosing your OBX Pool Service. First get a written business proposal from your pool company that you are thinking of working with. This helps protect you from them trying to raise the price once you are signing a pool contract for the year. You should ask for a list of references and get at least 3 and reach out to them for more information on the pool cleaning company you are thinking about hiring. Make sure you meet who is going to be servicing your property. Just because you met the owner doesn’t mean you are going to click with the Pool Tech. That is the guy who is going to be interacting with you and your guests. Make sure your Pool Cleaning Company is Insured and have the proper certifications. Ask questions about other properties they take care of . Try to find out how many pools and spas they service. If that number is high then think twice. Bigger is not always better. We at Barefoot Pool Service take pride in everything we do. We have outstanding references who are your neighbors. Customer service is our #1 priority. All pool and spa repairs are done in house. Barefoot Pool Service has the knowledge and expertise to make your pool and spa service experience a good one. Call Us Today 252-564-9888 or contact us here.